Just before the German Invasion of Russia in 1941 the Red army were looking for a replacement light tank for their T-26 light infantry tank which was based on the British designed 1928 Vickers 6-ton tank. 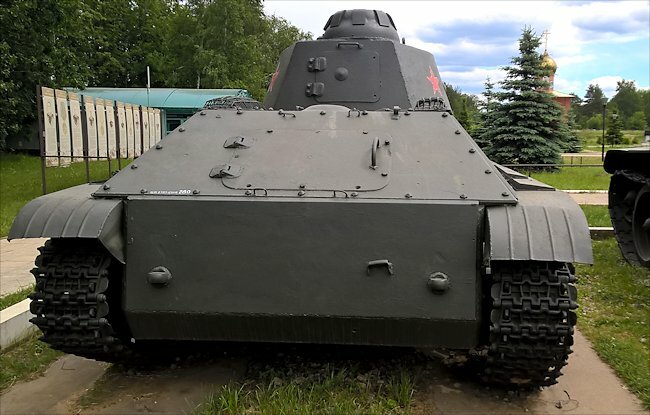 It was intended to become the most numerous Russian tank on the battlefield as it happened, when the Germans invaded, that accolade was won by the T-26 tank it was meant to replace. Only 69 T-50 tanks were ever produced. They saw action near Lenningrad (St Petersburg) with the 1st Red Army Tank Division in August 1941. They also served in the 488th Separate Tank Battalion, North Combat Group on the Transcaucasian front in October 1942. Some Russian T-50 tanks were captured by the Finnish Army, uparmoured and used against Soviet forces in August 1944. A number of events were against the successful introduction of the T-50 in the Red Army and its mass production. Development was started in 1939 at the OKMO design bureau in the S.M. Kirov Factory Number 185 in Leningrad. Stalin's Great Purge had resulted in the loss of a number of talented engineers. 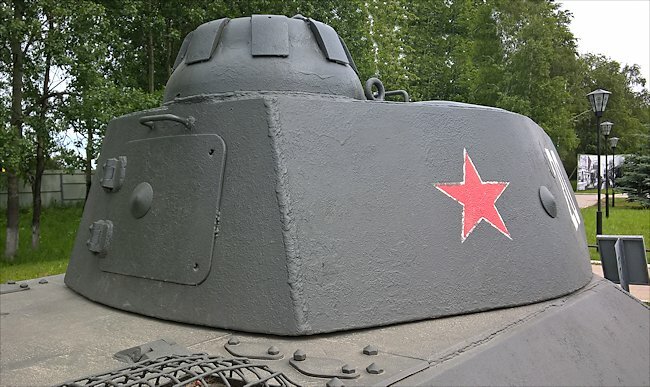 The remaining comparatively inexperienced design team had difficulties producing a tank that was mechanically sound and met the specifications given to them by the Red Army high command. The whole factory was ordered to relocate hundreds of miles away by train to the Urals and this delayed the tanks development. The finished design was technically excellent, looking like a smaller version of the new T-34 medium tank but it had a lot of mechanical faults and was expensive to produce. It had front and side sloping armour to help deflect incoming enemy shells. The armour on the turret was also sloping and curved. The armour thickness ranged from only 13mm up to 37 mm at the front. Slopping the armour meant that an armour piercing shell would have more metal to penetrate than if the armour plate was just in a vertical position. Some tanks were fitted with additional layers of bolted on armour to increase the armour thickness to 57mm in some hull areas including the turret. It weighed 14 tonnes and was powered by a model V-4 diesel inline six engine that produced 300 hp. It had a relatively high maximum road speed of 60 km/h (37mph). The T-50 had a fuel capacity of 350 litres (92 US gallons) which meant that it had an operational range of 220 km (140 miles) before it needed refueling. It was armed with a 45 mm Model 1938 gun and could carry 150 rounds. It had a coaxial 7.62 mm DT machine gun fitted to the turret to the right of the main gun. The tank had a four man crew: Commander, driver, gunner and loader. It had some novel advance features. 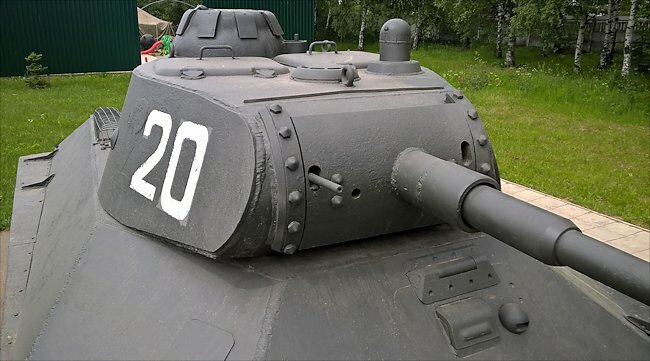 Each T50 tank was fitted with a radio. Previously only the platoon commanders vehicle was fitted with a radio. Communication with other tanks in the same platoon used to be done with signal flags poked out the hatch in the commanders turret. The T-50's turret was one of the first to feature a commanders cupola to give him all round vision whilst 'buttoned down' during combat conditions. In 1941 when the T-50 tank was finally ready to go into production a number of things had happened. From bitter experience in the Winter War with Finland the concept of using mass numbers of light tanks to over power and enemy was reassessed. The enemy now had better anti-tank guns. The Soviets realised they needed more medium and heavy tanks instead. 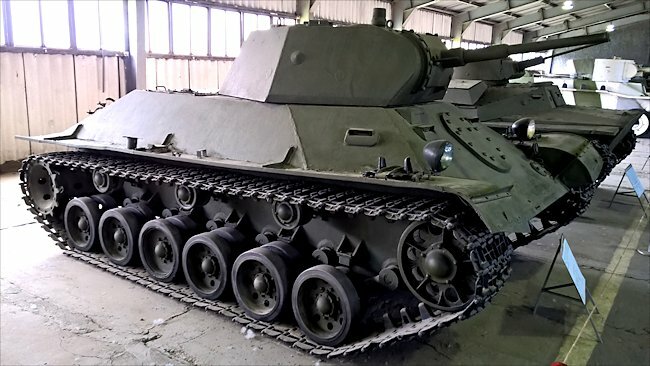 The very capable T34/76 medium tank was now rolling off the production line. It cost the same to produce as a T-50 light tank. Most Army commanders would prefer to have a T34/76 tank rather that a less armed T-50 if given the choice. The army reconnaissance roles were now being performed by the less advanced but cheaper to produce T-60 and T-70 light tanks. The British lend lease Valentine Tanks were starting to arrive ant they were also used in this role. The cheap to produce SU-76 took over the infantry support role. The T-50 arrived too late on the battlefield. Circumstances had overtaken its usefulness and no further orders were placed. Once the mechanical faults had been overcome it was a good tank that just had bad timing. 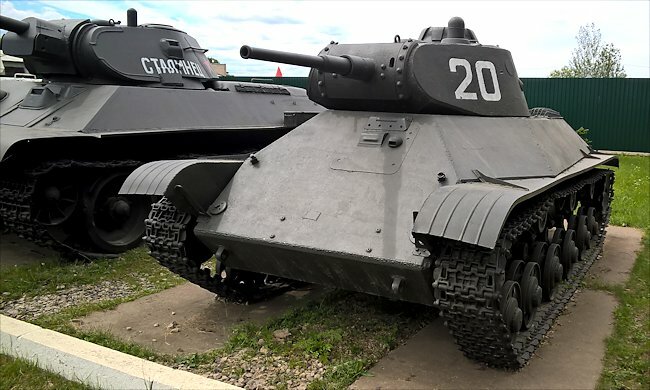 The T-50 prototype T-126SP - Kubinka Tank Museum, Russia. No large cupola and different drivers vision slits plus front riveted armoured hatch. 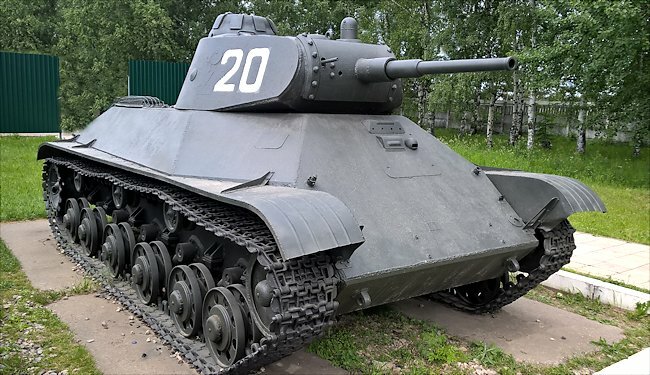 Where can I find surviving T-50 Tanks?